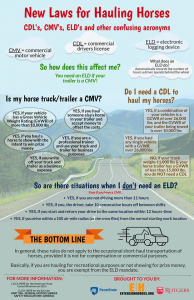 There have been some recent changes in laws governing large trucks and trailers. There are certain circumstances that may require a commercial drivers license or an electronic logging device. If you have a large rig and drive long distances, more information can be obtained from the following locations.